The Mid-Colonial District (aka District 2) was initially chartered by the Institute of Transportation Engineers on January 1, 1973. The District is chartered to receive, administer and expend funds for charitable and educational purposes. 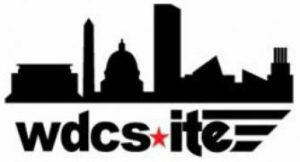 The area designated for the WDCSITE includes Maryland, the District of Columbia and Fairfax and Arlington County in Virginia. The area designated for the MASITE Section includes Pennsylvania, Southern New Jersey, Delaware and West Virginia.